Age Limit : Candidates Age Should be between 18-30 Years as on 01.10.2017. Age Relaxation As per Govt Norms applicable ..See details in Official Notification. Educational Qualification : Candidates must be 10th Pass + 3 years approved regular Diploma in Mechanical/Automobile/Fire with minimum 60 % Marks OR 12th Pass ( Regular Study ) with 50 % Marks.See details in Official Notification. Application Fee : Application Fee is 1000 For candidates belonging to General & OBC Category.No Application Fee is required to be Paid By Female/SC/ST/Ex-Serviceman. 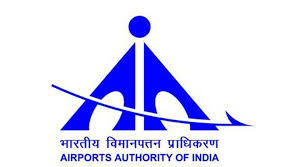 Airport Authority Of India Will Accept Fee through online net Banking / Credit Cards / Debit Cards Only. Selection Process : Selection will be Based on the Performance in Online Computer Test, Certificate Verification,Medical Fitness Test,Driving Test And Physical Endurance Test. How To Apply : All Eligible candidates can apply Online through official website www.airportsindia.org.in. on or before 14.10.2017. No need to sent any supporting documents.All the instruction and details given in official notification. Starting Date for Registration of Online Application : 24.09.2017. Last Date for Registration of Online Application : 14.10.2017. Last Date for Online Payment Of Application Fee : 16.10.2017.